The Louis Guntrum cellars lay on the steep banks of the Rhine between Oppenheimer and Nierstein. Louis Konstantin Guntrum is the 11th generation to produce wine here and today owns and manages this historic estate. Grape growing and winemaking methods are classic, with some machine harvesting and hand harvesting on the steepest sites. A combination of stainless steel and wood is used in the cellar with cold stabilazation, filtering and fining. 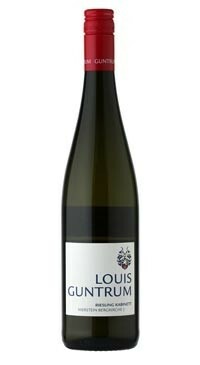 Honey and caramel lend warmth to this ripe and surprisingly opulent kabinett. The palate is bold and viscous with racy acidity bringing lift and focus to the fruit.